When my toddler was a baby, people would say, "Aww, aren't you glad you had a career in elementary education? Does it totally affect what you do with your daughter?" I'd politely murmur some sort of affirmative statement, but really I thought, "Honey, all I do is change diapers and wipe up baby food all day long, and I'm pretty sure you don't need a college degree for that." But honestly, as she's gotten older, I see myself doing things, saying things and implementing systems that I did when I was a public educator. We've been doing lots of "learning time" lately (her idea, and I think she picked up the phrase from her friend at church?). I've posted a few times about it on Instagram stories, and a lot of you had questions about it. I also heard from some of you who are overwhelmed and don't know where to start, so I wanted to share what we've been doing to teach letter names and sounds. When I was a practicum student I remember talking to a kindergarten teacher who wishes she could tell all incoming parents to stop stressing out about their kids falling behind. She had this huge rant about not forcing your children to learn before they're ready, about just playing and reading to them, and about not wasting money on a fancy preschool or expensive learning program. Some days my daughter asks for learning time from the moment she wakes up. But other days she's just not into it, so learning time lasts a total of four minutes. Today we didn't do it at all, opting for exercise videos and dance parties in the living room instead. My daughter is only two, so I don't force her and don't stress if she mixes up a few of the letters the day after I teach them. Seriously, all you have to do is read to your kids. I could link to a million scientific studies about all the good effects of parents reading to their children (it's a gigantic factor in student success, emotional maturity, social awareness, imagination, problem solving skills, and academic aptitude). Just. Read. To. Your. Kids. So far, we've been learning letters at the rate of about two per week. I introduce the capital and lower-case letter at the same time. 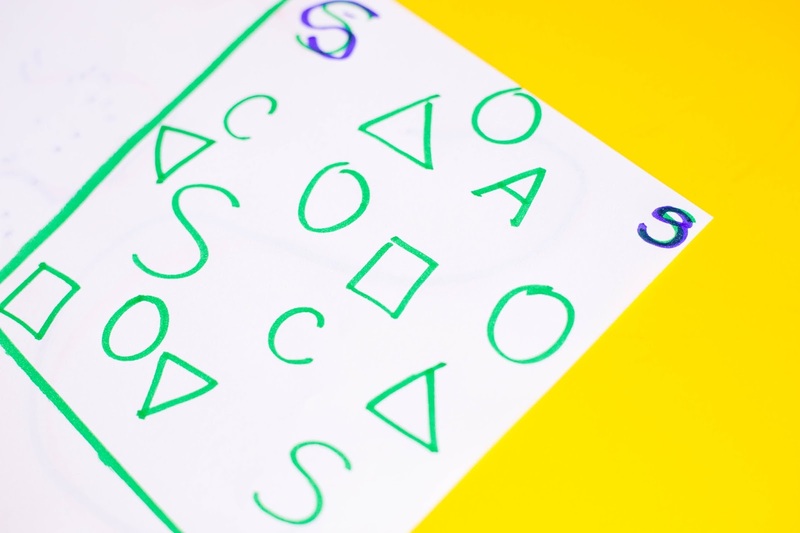 When I teach a new letter, we do a short mini-lesson and then a longer activity that reinforces the new letter. Her attention span is about 4 minutes for the lesson and 10-15 minutes for the activity. I introduce the letter by drawing it on a paper. "This is the letter T. Can you say T? This is what a big T looks like. Point to the big T. This is what a little t looks like. Point to the little t. T says tuh. Tuh-tuh-tuh. Can you say that with me? Tuh-tuh-tuh." We trace the letters with a marker. She is terrible at this, but hey, she's only two. 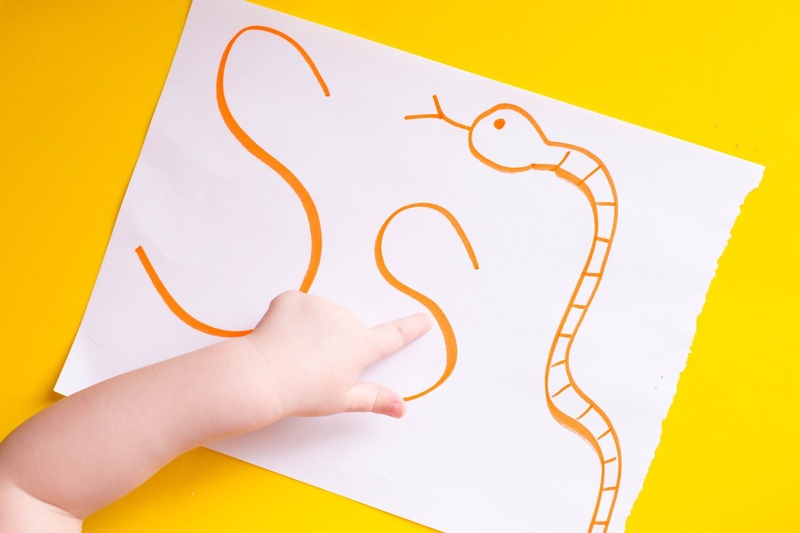 I teach 2-3 words that start with the letter. Tiger, tongue, uncle Taylor. We sing that super annoying but effective song. "T is for tiger, t-t-tiger.... T is for tongue, t-t-tongue." We look through her board books and find books with the letter T on the cover. put these foam letters in a 9x13 pan and cover them with dry beans or rice. Sort through with measuring cups and find your letter (another great way to review letters you learned earlier). 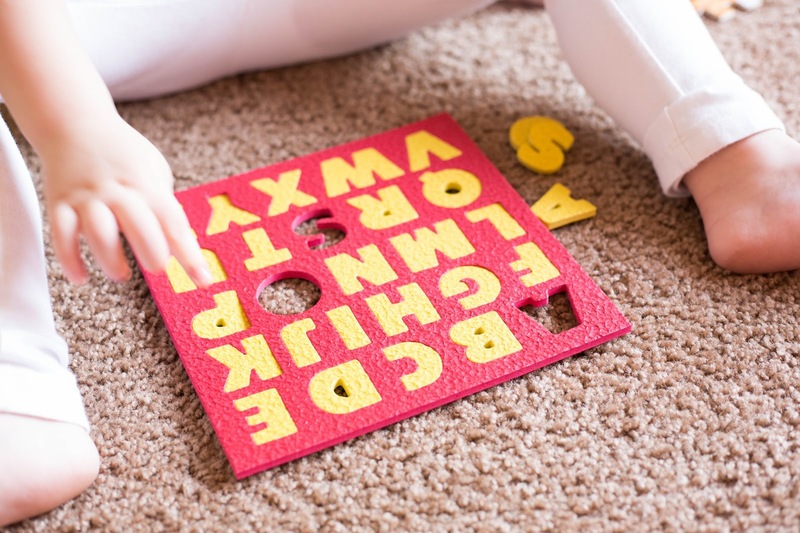 make your letter with masking tape on the floor so your child can jump from letter to letter. Another great one to review multiple letters ("Now jump to the S!") My toddler loooooves this one. Added by a reader: get a bag of small objects around the house that start with the letter. C-c-carrot, c-c-car, c-c-crayon, etc. 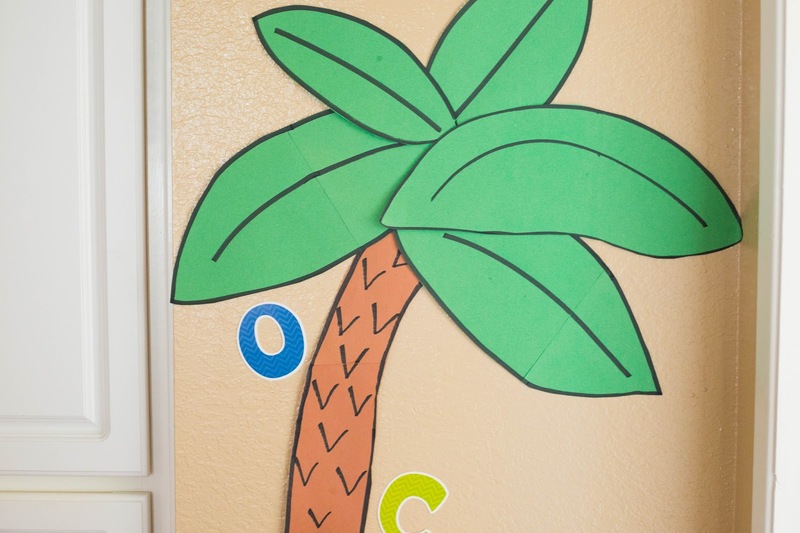 Added by a reader: Draw a simple outline of the letter and use small circle stickers to fill it up (you can get packs of 100 neon price stickers at the dollar store). 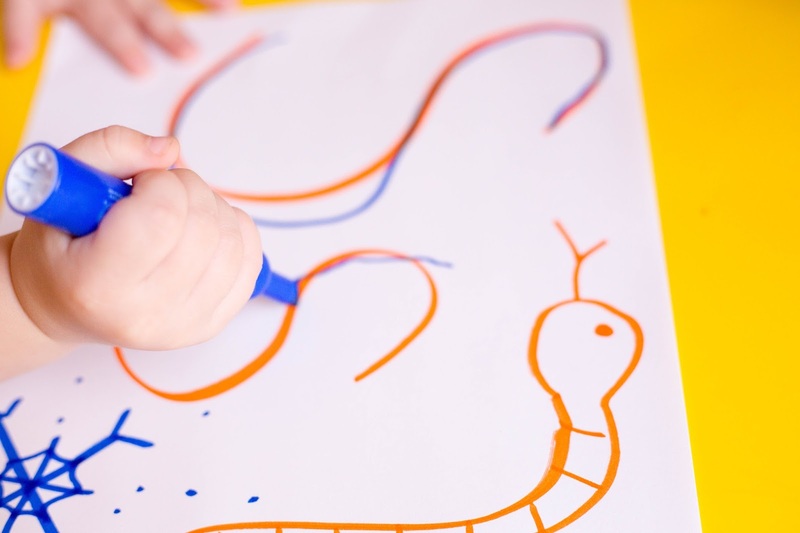 Remember, toddlers learn through playing and exploring, so even though these don't seem like the most academically rigorous activities, the synapses in their brains are firing like crazy, I promise. Rather than teaching from A to Z, I like to teach easy / often used letters first. Here's a list of the sets of letters from easiest to hardest (I dug out my old literacy textbook for this - you're welcome, world). It's fun to teach the first letter in your child's name too (C was the first letter my daughter learned, even though it's in set two, because her name starts with it). We love the book Chicka Chicka Boom Boom, so I used it to tie all my letters in. 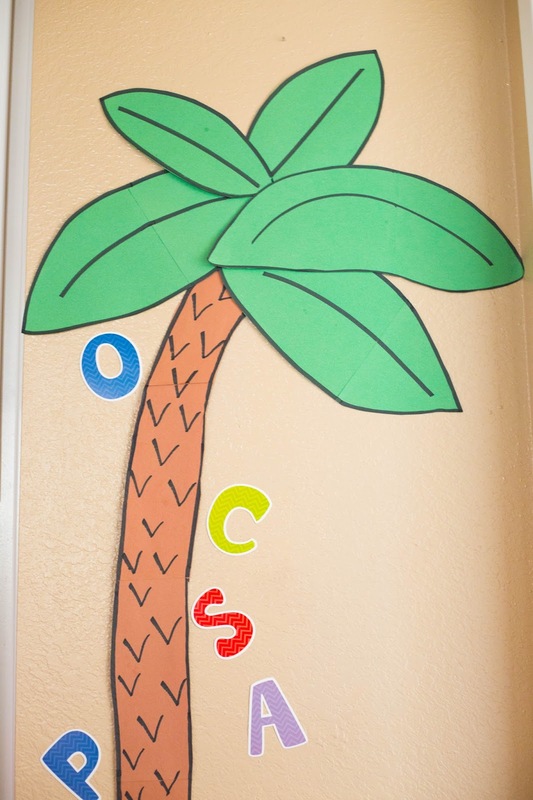 I made a big coconut tree out of brown and green construction paper (I bought this pack two years ago and it's still going strong, plus it's on a major sale right now). Then I bought these die cut letters ($8 is kind of expensive for a few letters, but I don't own a die-cut machine, and now I have 190 extra letters to use for party banners, welcome home signs, and a million other things). We hung up the tree in a previously dead space in the hallway, and my daughter gets SO excited to put up a new letter after she learns it. Last week at the post office, my daughter suddenly said, "It's a A! It's a A!" And sure enough, right in the middle of the "LINE STARTS HERE" sign, there was an A. We find letters on the signs we see, at the grocery store, on the books we read, everywhere! We even find them in the hymnals at church on Sundays. 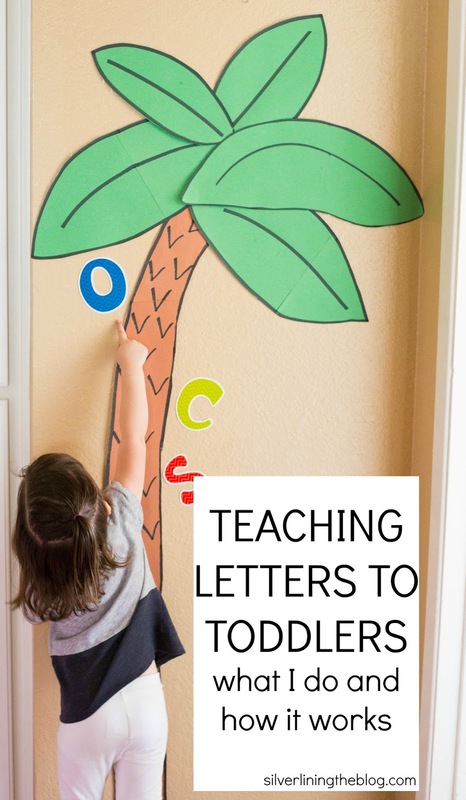 What do you do to teach letters to your toddler? and less weird egg videos on YouTube Kids.